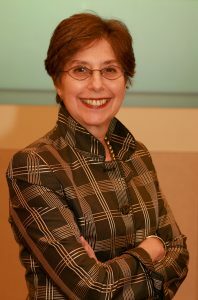 Ilene H. Lang is the former President and Chief Executive Officer of Catalyst, the leading research and advisory organization working to change workplaces and improve lives through advancing women into business leadership. After 10+ years at the helm, she stepped down in January of 2014, at which point Catalyst’s Board appointed her an Honorary Director. Under Ms. Lang’s leadership, Catalyst expanded globally to provide research, programs, and operations in North America, Europe, India, Australia, and Japan. To sustain this growth, Ms. Lang continued to work with Catalyst as a Senior Advisor to the Major Gift Campaign – “Changing Workplaces. Changing Lives.”, which she launched in 2012 to coincide with Catalyst’s 50th anniversary. A first for Catalyst, the Campaign helped to secure, well into the future, Catalyst’s longitudinal research and the development of women leaders globally. To honor Ms. Lang’s legacy of inspiring leadership, Catalyst established the Lang Legacy Fund in 2014, an individual giving program meant to sustain the growth that began under her direction and to honor her impact on the world of women and business. In 2013, Ms. Lang was awarded the Foreign Policy Association Medal, and in 2014 she was named to the National Association of Corporate Directors Hall of Fame. From 2008-2014, she was a member of the National Board Development Committee of the Girl Scouts of the USA and served on the Global Agenda Council on Women’s Empowerment at the World Economic Forum. She is currently a Board Member of the Women’s Forum of New York and a Senior Advisor to Trewstar Corporate Board Services. She has also served on numerous other corporate, private, and nonprofit boards. Today we are facing a multitude of humanitarian crises around the globe with more refugees, more nativism, more incarceration, more ethnic cleansing, and more state-sanctioned hate speech than we have seen in decades. I chose to join the Auschwitz Institute’s International Advisory Board in order to support its important work which offers an opportunity for individuals to recommit to the vision of a world that prevents genocide and other mass atrocities. Ms. Lang earned an AB degree in History and Literature from Radcliffe College and an MBA from the Harvard Business School. In 2017, she received the Harvard Business School Alumni Achievement Award. She is married and is the mother of three adult children.